Volkswagen, facing a major product push in the next seven years, has tapped Herbert Diess to take over as the automaker's new CEO, replacing Matthias Mueller. Mueller presided over the automaker in the wake of the Dieselgate scandal. 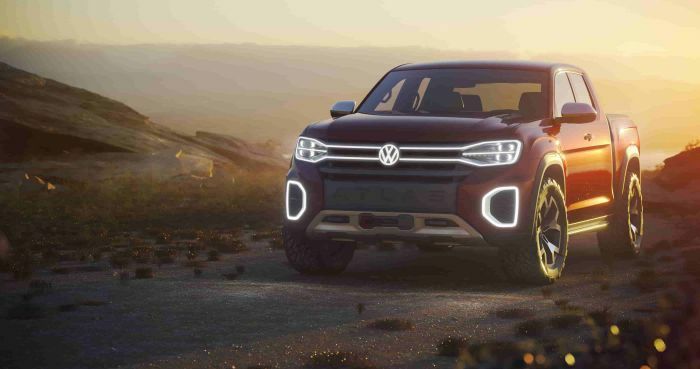 Even as Volkswagen has been moving to implement its Strategy 2025, the automaker has played some chess with its top executives, moving Herbert Diess, its brand chief, up to the top spot. Meanwhile, Matthias Mueller, who took over in 2015 at the height of the Dieselgate scandal, has been moved out of the top spot. (It’s a funny commentary that Mueller, the executive who saw the automaker through the darkest days of the diesel scandal that has cost the automaker more than $25 billion so far, has been dropped as chief exec. Mueller rode out the worst of the storm that also resulted in jail time for at least two VW execs. Six others have been indicted and have been advised to stay out of the U.S.
Diess moved over from BMW in 2015 shortly before the Dieselgate scandal broke. It is a scandal that continues to plague VW in Europe. Diess primary mandate is now carrying out the automaker’s Strategy 2025. As part and parcel of the Diess appointment, the automaker also announced that it is streamlining its product offerings. The new plan rationalizes VW’s autos into three groups, Volume, Premium and Super Premium. Volkswagen’s product lineup includes at least 11 separate product lines which include: Volkswagen (brand), Porsche, Audi, Bentley, Bugatti, Skoda, Lamborghini, SEAT, Scania, MAN Trucks and VW Vans (VW Commercial), and Ducati, among others – have been reorganized into three new groups, Volume, Premium and Super Premium. Among the other three product groupings, one business unit will be dedicated to China, while another will take the automaker’s three truck divisions and combine them into a new Truck and Bus Division. Finally, another group will focus on research and development, sales and production. Diess appointment as CEO was followed by other changes in the management of the automaker. Gunnar Killan, formerly secretary-general of the VW Group Works Council, has been named to the Group Board of Management for Human Resources.